Swimming pools have become a way of life for many middle-class South Africans. A pool not only increases the value of any home, it is also an ideal spot for the family and friends to spend time together, and if properly planned, provides a perfect place for weekend entertaining. Installing a swimming pool is undoubtedly one of the most expensive decisions a home owner will make, and for this reason forethought and planning are essential. A pool which is not thoughtfully positioned is unlikely to be used to its full potential; if it’s not properly constructed, this will inevitably lead to endless trouble and expense; if attention is not given to the surrounding environment and adjacent garden, it will not look as good as it might; and if it is not consistently maintained, there is no doubt that it will soon look unsightly and may even begin to deteriorate. Vertgrow Landscaping understand to make the best of any pool, it should form an integral part of your garden design and should also be modelled to complement your lifestyle. Even if you already own a swimming pool or spa, there are a multiple of ideas to improve the surrounding area by Landscaping your garden or the inclusion of additional Hard Landscaping features such as a Boma or Braai area. Vertgrow Landscaping provide Pool maintenance; One of the least attractive aspects of pool ownership is maintaining and cleaning. After all, nobody wants to spend every weekend rectifying pool problems, and this is exactly why regular pool maintenance is so important. 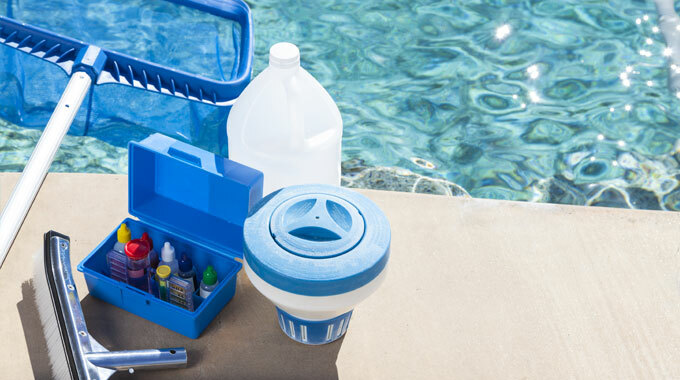 Prevention is better than cure, so by ensuring that the water is kept clean and hygienic at all time, you can make the most of your pool. It is a good idea to wash out the sand in the sand filter every year (preferably prior to summer). Do this with a jet of water from a garden hose, taking care not to damage the equipment. Alternatively, remove the filter lid and simply allow the pump to run on the 'backwash' cycle. if you wish, stir up the sand with your hands to help release the debris. It is surprising how much dirt, oil and algae accumulate in the sand. It is important to replace the sand every 2 to 3 years and ensure there is enough sand in the filter at all times. Pump repairs, New Pumps, Electrical Problems, Time Switches ‘Timers’, Sand Changes ‘Filter’, New Filters, Heat Pumps, Solar Panels, Pool Lights, General leaks on pipes, Treat and clean, weekly Maintenance, moving of complete systems, Check Pumps for noises, heating up etc. Check Creepy Crawly condition, Zodiac repairs on Mx6 & Mx8, Vacuum Pool, Backwash ‘Rinse’, Ensure Pump room area is clean, Setting Timer, Test Chemicals and adding if needed and report any wear and tear.